In response to the devastating earthquakes in Christchurch, New Zealand, ENGEO assembled a team of engineers and geologists to open a new office and partner with local firms to assess damage and work toward rebuilding in both urban and suburban areas. As a result, principal leadership is on the move! Principal Donald Bruggers, GE, with a long history of leading ENGEO’s San Francisco presence, has relocated to New Zealand to lead the firm’s new office. 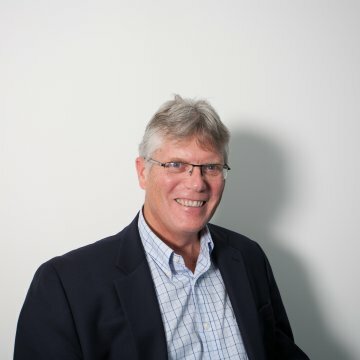 With more than 35 years of experience throughout the United States, he is an expert in the areas of slope stability analysis and design mitigation; deep foundations for mid- to high-rise construction; tunneling, pier, port, marina and levee projects; transportation, infrastructure and public works projects; and environmental remediation, compliance, and permitting. Principal Daniel Haynosch, GE, leading the San Ramon headquarters operation for many years, will take Don’s place in leadership of the San Francisco office. Mr. Haynosch joined ENGEO in 1990 and provides geotechnical and environmental services for public works, aviation, mixed use, commercial, industrial, and education projects. He is an expert in the areas of foundation and paving, soil stabilization, site development, grading, utility excavations and embankment design and construction. Principal Joe Tootle, GE, former lead of the Central Valley office, will relocate to Contra Costa County to lead the San Ramon office. Mr. Tootle has more than 17 years of experience in project management, levee design, flood control structures, riparian corridor restoration, probabilistic seismic hazard analysis, large hillside grading design, pavement design, hydrologic evaluation, and development of foundation criteria. For the past several years, Mr. Tootle has been a participating member of the Urban Levee Design Criteria development committee. The committee’s purpose is to develop levee design criteria for Urban and Urbanizing areas that require a 200-year level of protection as defined in Senate Bill 5. Steve Harris, GE, Associate, had been a Group Leader in San Ramon. He is now leading the Central Valley office in Ripon. Mr. Harris has more than 16 years of experience in geotechnical consultation, project management, SWPPP and construction management services for large residential developments, commercial developments, levees, water storage facilities, transportation projects and educational facilities throughout northern California.